And then one day, I blinked my eyes and it was almost the end of April! Though April and May can be hard teacher months because there aren't really any days off, I truly feel like these last few weeks have flown by. We are down to 20 days of school after today. TWENTY. I'm thankful for the awesome kiddos I have this year, and I'm always a little sad to tell the next group goodbye (although many of them I'll have again next year, or will at least see in the halls). This time of the year is full of anticipation and lots of fun as we celebrate new beginnings, sweet reunions, and a whole lot of beautiful blessings. Here's what we've been up to! Aaron took our awesome, found-in-the-desert camera and took lots of great pictures of my beautiful sister-in-law for her senior prom this Saturday. Hope she doesn't mind me sharing a few of these. Isn't she so gorgeous? I missed out on the picture-taking because I was running around getting our house ready for a big party, but I think she looked like a million bucks. We will be helping out at my school's prom in May: think she'll let me borrow her dress? Ha! Such a fun time. If you saw last week's post, you heard that we were excited to host a big birthday bash for one of our dearest friends. I'm happy to report that the party was bumpin' in all the right ways! 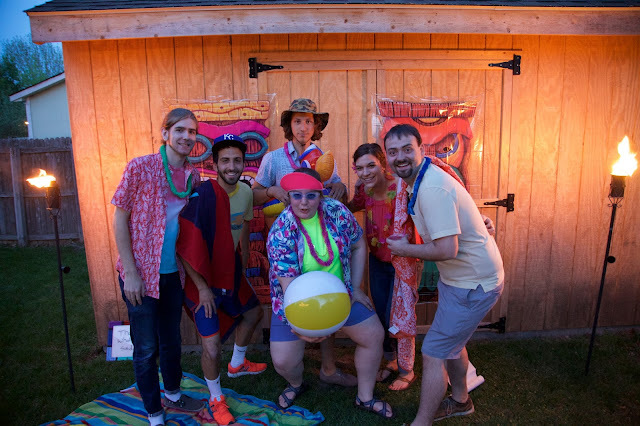 We had a blast taking fun photos, getting into the beach theme, and just enjoying the evening in our outdoor space with about 25 friends! I've never seen so many of our chairs outside at once, and I couldn't be more happy to see our deck and yard full of laughter and fun. Also, shout out to my friend's mom for the awesome, pin-worthy cupcakes pictured above! I wish I could share all the fun photos we captured ha. Love these people. It's hard to believe that our seniors only have about 13 days left of school. They'll be off and graduated in less than a month. This is my first year teaching seniors in my AP class, and I truly have enjoyed them a lot. They're a bit more mature than my sophomores, which I can say with confidence because I had many of them when they were gifted sophomores! It's always a little hard to send such awesome kids off to their new adventures, but I couldn't be more proud. 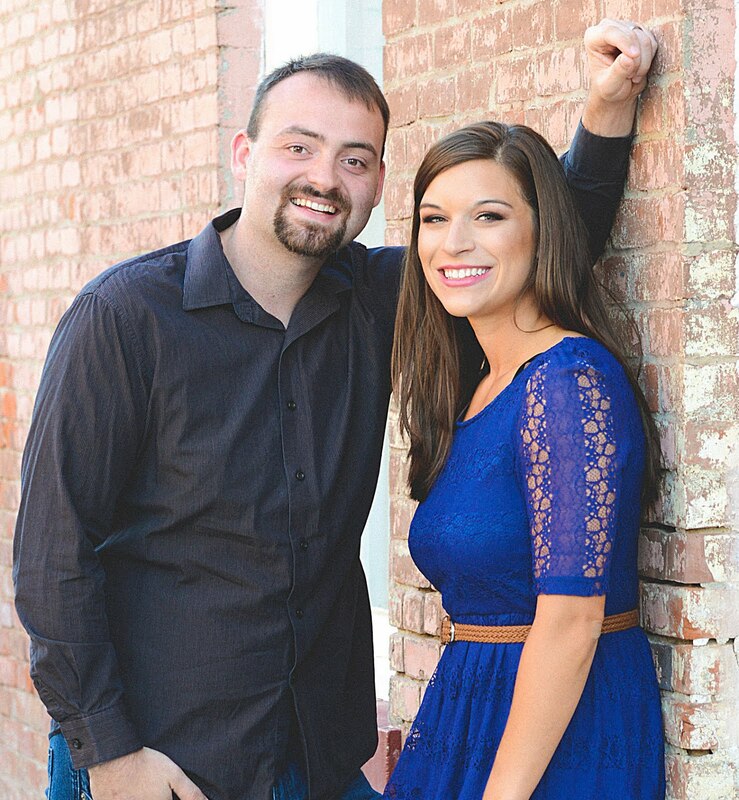 We're especially proud of my sister-in-law, who has worked so hard to set herself up for an awesome future! Love you, sissy! In a humorous turn of events, my teacher friend and I will be going and serving as chaperones/advisors for the FBLA state competition next week. We will be out of school a couple of days, and down in Springfield to watch the kids compete, take them to a baseball game, drive them around, and of course hit up good ole' Lambert's! The actual sponsor just had a new baby, so she needed some help with this and we were happy to help out. Should be interesting! 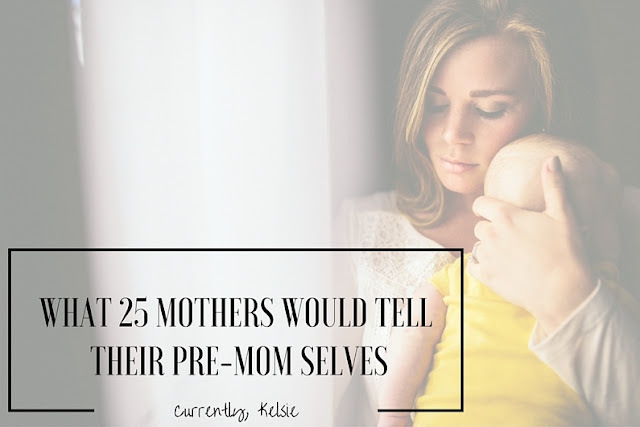 If you missed it, this week I had the honor of sharing What 25 Mothers Would Tell Their Pre-Mom Selves. Whether you're a mother or not, this post is pretty awesome- not because of me, but because of all the wonderful wisdom and advice of these amazing women. I think my favorite part about this post is walking away with this general truth about life: none of us have it all figured out, but we make it through and do our best to enjoy every sweet second of it. If you haven't checked it out, you should! Cheers to eighty degree Saturdays, ice tea on the deck, and the beautiful green that we get to enjoy (despite some allergies) this time of the year. I am beyond excited to spend some time this weekend with dear friends, a date night with hubby, and finalizing some summer travel! Have a wonderful weekend, friends! Are you following along on Instagram? Don't miss out on updates and fun photos you won't find elsewhere! Ahhh, prom...my senior prom was one of the best nights of my life! So much fun! Is it weird that I wish adults would have the occasional prom too? Like once a year, get super dressed up, do dinner and dancing with friends and rent a limo for the evening? Gosh! Now I am jealous of all 18 year olds right now, lol. 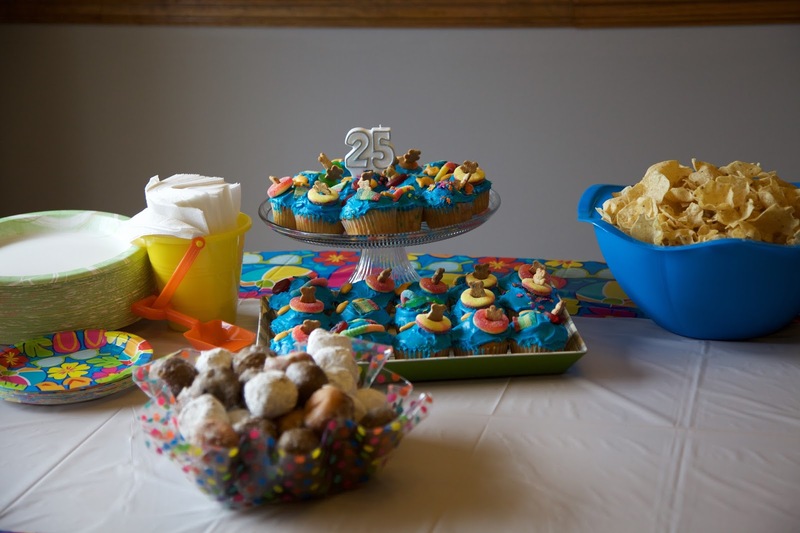 Your beach themed birthday bash sounds like it was awesome!! I read your post on what moms would say to their pre-mom selves and agree with you on a lot of counts. I went into motherhood with one viewpoint and came out with a totally different one - it's hard, but it is a good hard if that makes sense. I wouldn't change it for the world, but I wish I knew then what I know now (and that I listened to my mom more instead of hushing her - thinking I knew everything). I love, love, love your sister-in-law's prom dress. It's so beautiful and classy! Don't you wish we had a reason to get dressed up like that again? I love it too for sure :) I wish we did ha. I'm going to prom on Saturday! TWENTY days here, too! Of course, I'm writing this from the beach because we have a three-day weekend. Have the best time at FBLA State! That beach bash looks so fun and those cupcakes are perfect! I loved your mama advice post, I really want to be one someday but it also terrifies me, there was some great advice in there! I'm taking my sister's prom photos this Saturday!!! How cool is that :) I can't believe she is graduating this year. Have a great weekend, lady! Your SIL looks so pretty! I'm obsessed with her dress. I feel like a lot of prom dresses can be very risque but hers is beautiful and perfectly age appropriate! I seriously feel like April flew by. I am asking myself what happened last week? Crazy! Your SIL looks so pretty. I love her dress and hair. The birthday beach bash looked like a blast. 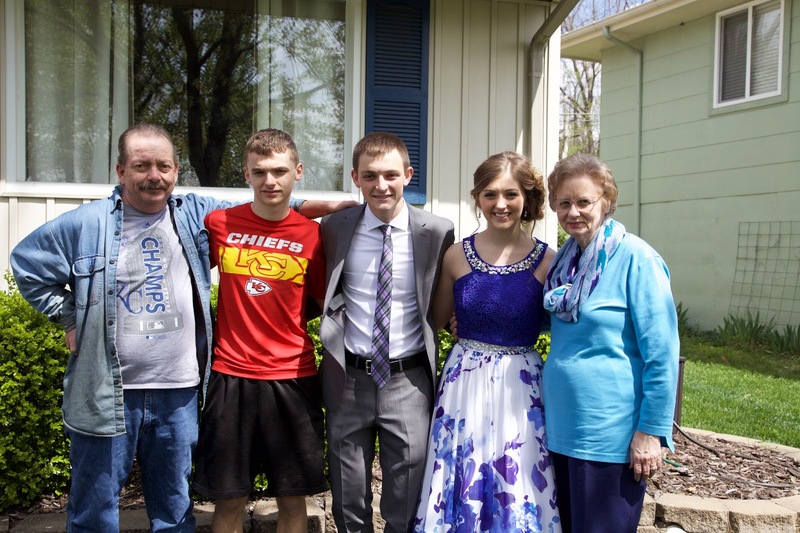 Your sister-in-law looks so pretty in her prom dress! And that party looks like so much fun! Have a wonderful weekend! Awh this is so fun! !